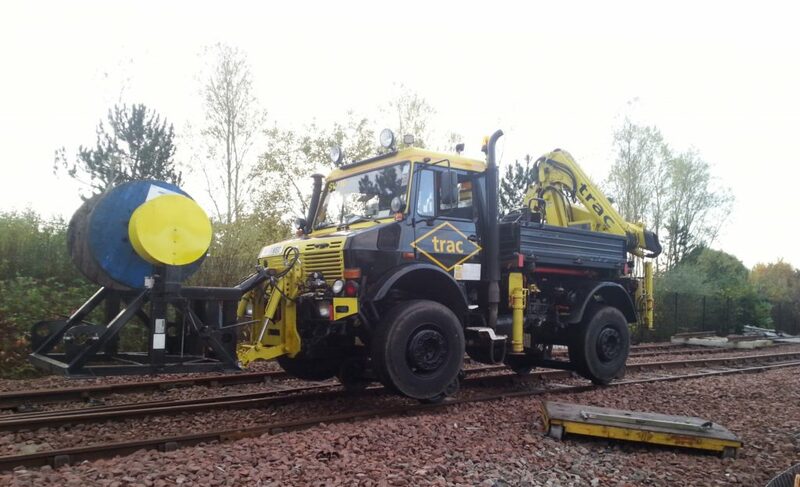 TRAC Rail Mercedes Benz U2150 with Front Mounted Cable Drum Carrier and Road Railed Trailer. Cable drum dispensers can be used to install all aspects of cable works from Signal & Telecoms to Over Head Lines. The Unimog is fully road legal. This enables transport from depot to site by road, it can be loaded with up to 3no Cable Drums (one on the Unimog and two in the trailer). This concept will ensure a cost saving compared to conventional haulage to site. 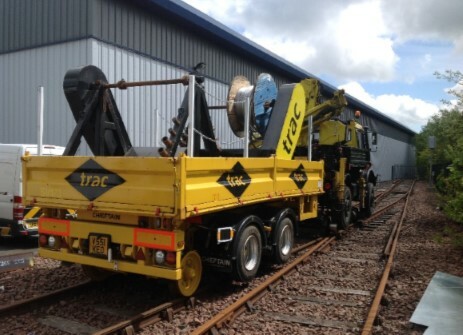 Can be on tracked fully loaded, this will ensure no delays at site. Rear mounted crane enables the drums to be changed over during the shift without off tracking, this also can be used to load up prior to the works taking place.